Chatbots offer an efficient way to find and deliver information through AI-powered conversational queries. Learn how to build a chatbot that uses the IBM Watson® Assistant service to intelligently create and search IBM Db2® database entries for events and conferences. Deploy your bot on Slack as a community resource. 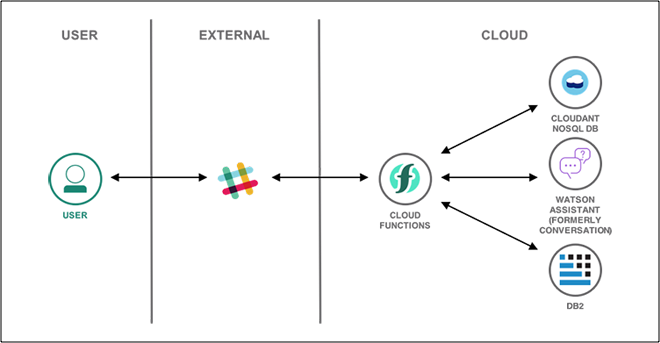 Taking a serverless approach, you will integrate Slack and IBM Watson Assistant using a Conversation connector, which deploys IBM Cloud™ Functions and IBM Cloudant® for IBM Cloud. Expand your chatbot’s conversation options with complex dialogues. Help Watson learn to serve your users better with the Improve component. Everything you need to make chatbots that continue to improve customer experience.